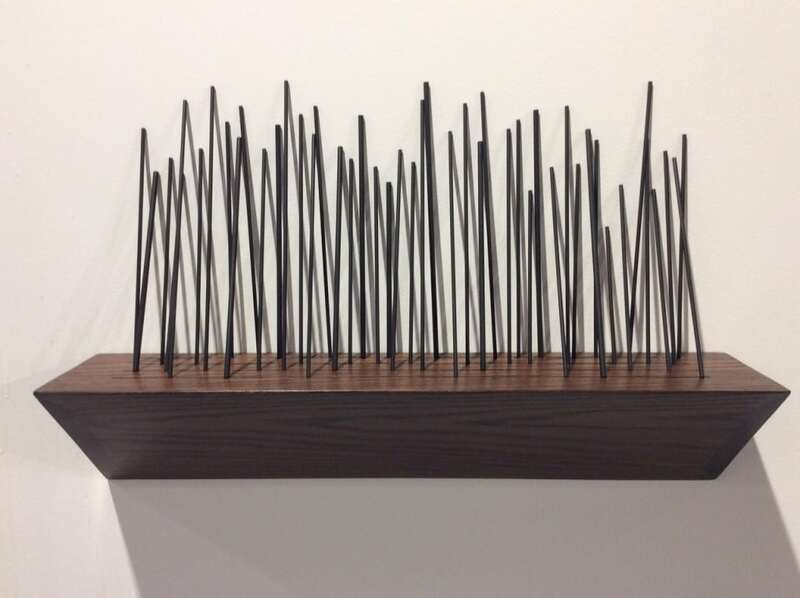 Dec 11, 2015 In: Art Fairs Tags: ABMB, Art Basel Miami Beach, Avinash Veeraraghavan, Colby Bird, Derek Eller Gallery, Edie Fake, Gallery Skye, Halsey McKay, Jorge Mendez Blake, Kris Martin, Marjolijn de Wit, Martha Tuttle, Monique Meloche, NADA, Nancy Shaver, Pulse Miami Beach, Rodrigo Valenzuela, Seis + Hoke Gallery, Sheree Hovsepian, Tilton Gallery, Untitled Art Fair, Upfor Gallery By: ArtSource Inc.
Every December the art world descends on Miami for Art Basel Miami Beach and the 20+ satellite fairs. On view you’ll see art world superstars and blue-chip modern classics, but what we think is most exciting are the lesser known artists we find at galleries from around the world. Artists whose work is united by their soulful nature, rich in concept and beautifully made. These are the unexpected treasures from the fairs that remind us why we love what we do. Sheree Hovsepian “The State of Nature” 2015, archival dye transfer print, graphite, acrylic, gelatin silver prints, brass nails, string. Courtesy of Monique Meloche Gallery. Sheree Hovsepian’s black and white photographic abstractions question the apparent boundaries of the imitative medium. Departing from traditional presentations of the photograph, Hovsepian blends studio and dark room techniques in a manner that confounds our usual expectations of mechanical image-making. In this new body of work Hovsepian layers and collages elements onto the photographic surface in a performative process exploring light and time. Avinash Veeraraghavan “Orpheus” 2015 (diptych) embroidery on white silk organza, thread and glass beads. Courtesy of Gallery Skye. Avinash Veeraraghavan lives and works in Bangalore, India. In the diptych Orpheus, the left panel is a reference to Jean Cocteau film by the same title. It shows Orpheus having passed through and wake on the virtual side of the mirror. This represents a journey to the other shore that has been shown in a contemporary idiom of the video game in the panel on the right. The piece alludes to a larger narrative of the artist’s personal life, a struggle to be self aware and come to terms with himself, a process of individuation. Jorge Méndez Blake “The Mending Wall (Robert Frost)” 2015, aluminum, automotive paint, wood. Courtesy of Meessen De Clercq. Jorge Méndez Blake “Why I’m not a Painter (Frank O’hara)” 2015 gold plated copper tubes, wood. Courtesy of Meessen De Clercq. Mexican artist Jorge Méndez Blake uses language and literature on one hand and architecture on the other. He is interested in the concept of balance, but in the figurative sense, drawing inspiration from the poem Mending Wall by American poet Robert Frost who deals with issues of separation and balance of the wall which forms the boundary between two pieces of land (good fences make good neighbors). Méndez Blake used this title for a vast body of work consisting of 40 drawings of architectural structures situated in open spaces surrounded by walls. 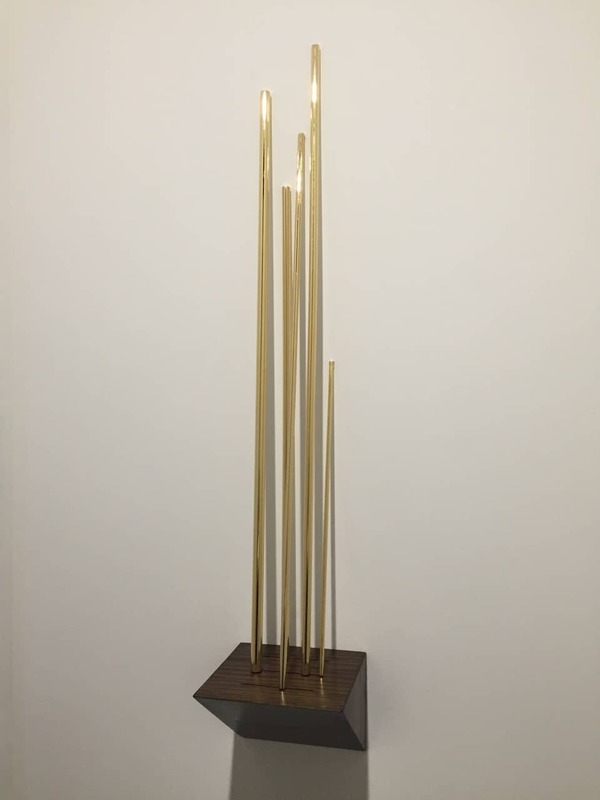 In addition, he uses Frost’s texts as structural components of his work; for example by “translating” in the form of a metal sculpture in a precarious position the length of the poem Mending Wall. 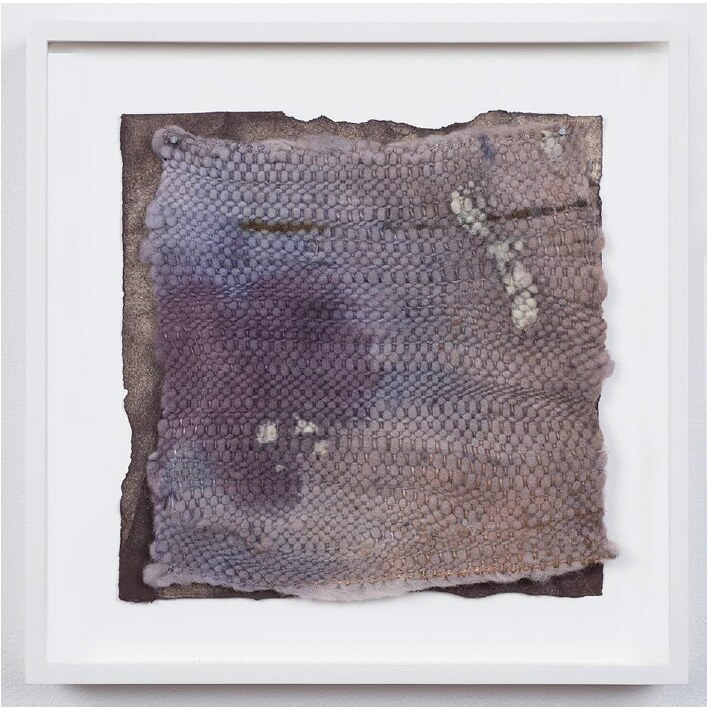 Martha Tuttle “…and in it cold water makes a clear sound” 2015 wool, paper, logwood, hematite, and steel iron. Courtesy of Tilton Gallery. 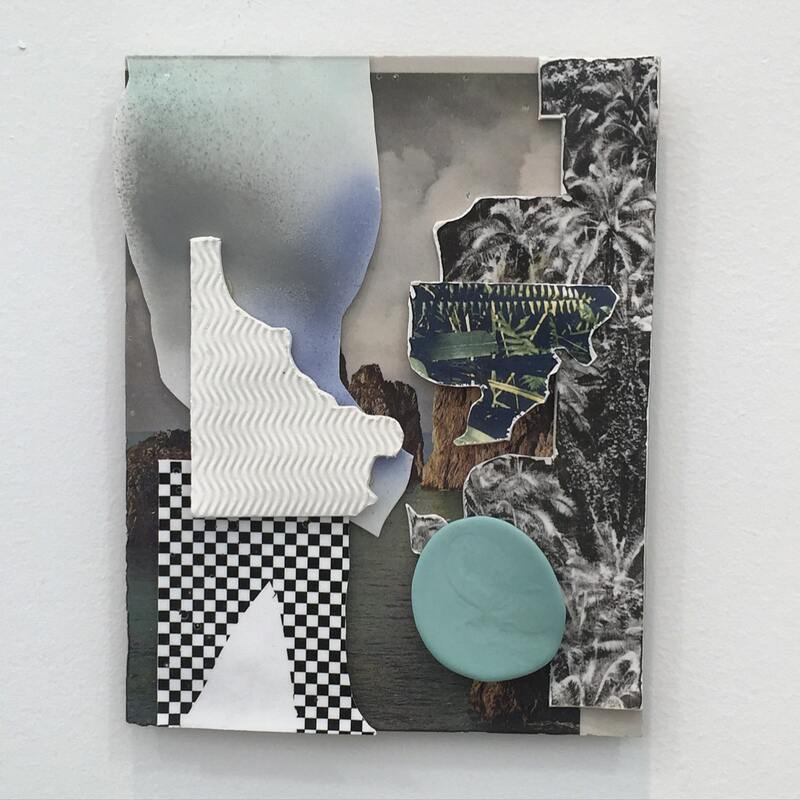 Martha Tuttle received her MFA from the Yale School of art in the Spring of 2015 in painting and printmaking. Her works are a collaboration between raw materials and human intention and begin with hand-dying wool with raw pigments and inks. She employs a repetitive rubbing and washing process with all of her materials, resulting in works that have a topography revealing a conversation between the intended and the unforeseen. 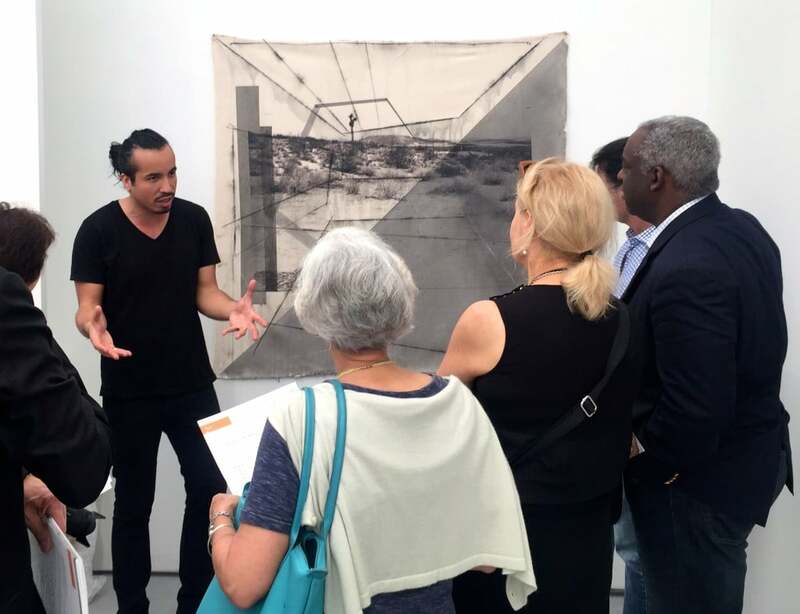 Rodrigo Valenzuela discusses his work on one of our VIP tours at Untitled, art. Rodrigo Valenzuela “Goalkeeper No. 4” 2014 archival pigment print. Courtesy of Upfor Gallery. Created through a process of photographing and re-photographing, Rodrigo Valenzuela‘s works capture the passage of time through multiple stages of production and destruction in the artist’s studio. Valenzuela constructs eccentric geometric forms using chalk, spray paint, wood, packing foam, drywall, and other commercial detritus. He photographs each work in progress, printing and incorporating these moments back into the scenes. Marjolijn de Wit “Untitled” ceramic on print. Courtesy of Asya Geisberg Gallery. Marjolijn De Wit “Untitled” 2015, ceramic. Courtesy of Asya Geisberg Gallery. 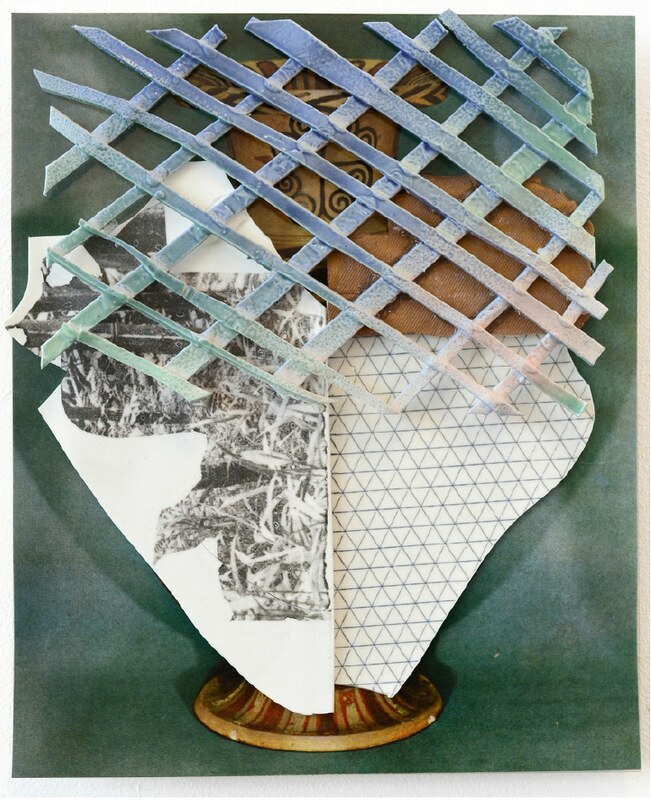 Amsterdam-based Marjolijn de Wit creates ceramic-photographic collages. She appropriates photo-based imagery in combination with raw, glazed, or photo-printed ceramic pieces to explore ideas of future archeology, the interpretation of history, and our relationship with nature and the built environment. 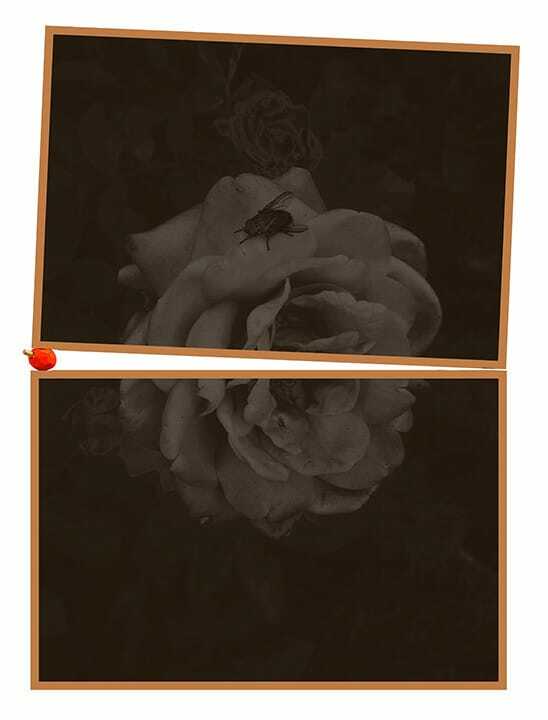 Colby Bird “Rose and Black Fly, Los Angeles” 2015 Texas Red Oak, Poplar, Cedar, Pine, paint, charcoal, fixative, wood stain, photostatic print, screws, gator board, acrylic, brass tack, NY Times, leather. Courtesy of Halsey McKay Gallery. Colby Bird’s hand-toned photographic works on paper are made sculptural with the addition of custom made, professionally painted frames. The work is a meditation on the role of labor and reward in the pursuit of an art career, and examines the interplay and mediation of these actions with both pleasure-seeking and guilt. To create these prints, Bird has utilized the normally discarded negative portion of pull-apart instant film, which has been scanned, output as Photostatic prints, and repeatedly saturated with wood stain. The supports are intensely-worked wood objects: sawed, sanded, stained, constructed, then re-sanded, re-stained, and re-constructed until their appearance becomes an elemental representation of the original object. 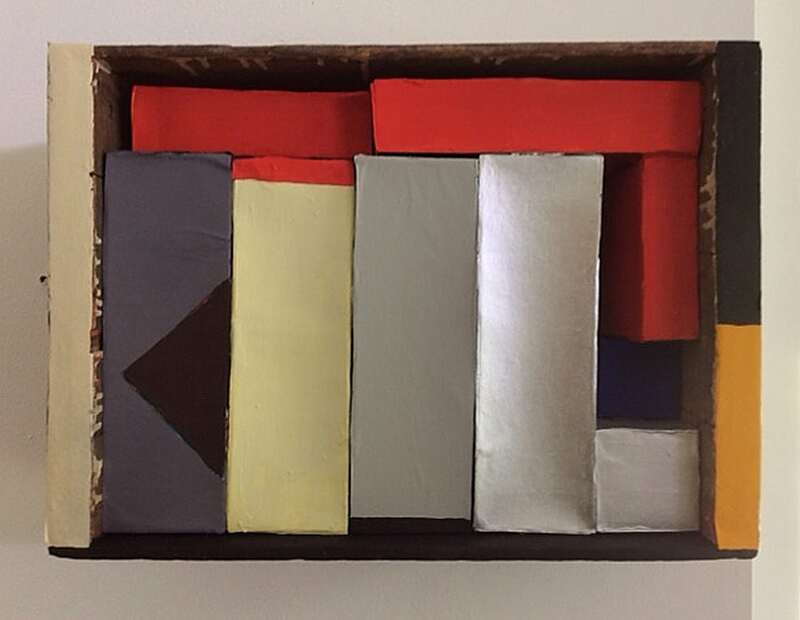 Nancy Shaver “Red, Yellow and Blue Boxes in a Box” 2015. Courtesy of Derek Eller Gallery. 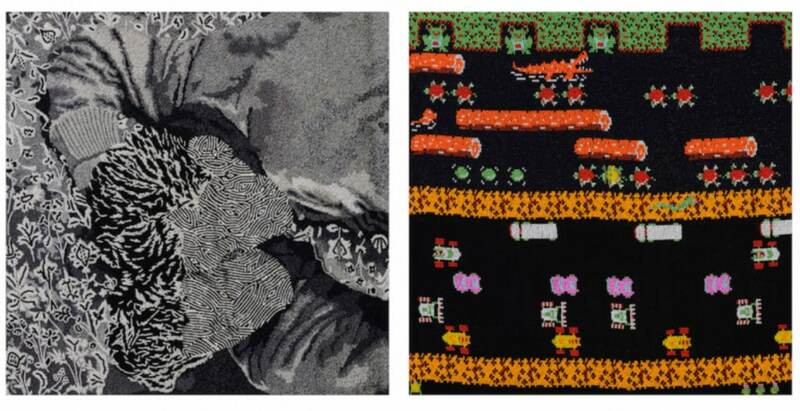 Nancy Shaver has been making art for four decades. She uses vernacular mass-market objects that she has collected for years, then paints and arranges them into colorful contained collections and assemblages giving new life to discarded items. Santiago Taccetti “Chicago Boys (v-vii)” 2015 enamel on stone. Courtesy of 10 Hanover Gallery. Argentinian artist Santiago Taccetti lives and works in Berlin. 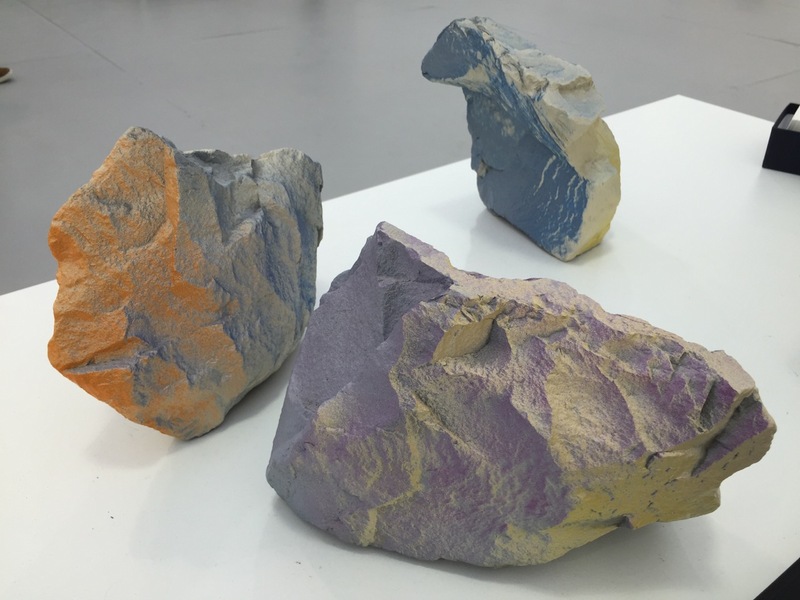 His enamel and stone sculptures are inspired by the story of The Chicago Boys – a group of Chilean economists who trained at the Department of Economics of the University of Chicago under Milton Friedman. These illusory works made of rocks taken from a construction site, speak of a failed economic promise. Edie Fake “The Deep End” 2015 gouache and ink on hand-dyed paper. Courtesy of Western Exhibitions. Edie Fake, a transgender artist who left the University of Southern California’s Roski School of Art along with all six of his classmates in protest recently, creates visually riveting drawings, some depicting architecture, some pure abstractions. His work often deals with euphemism and coded language and speaks about the manifestation and meaning of queer space. 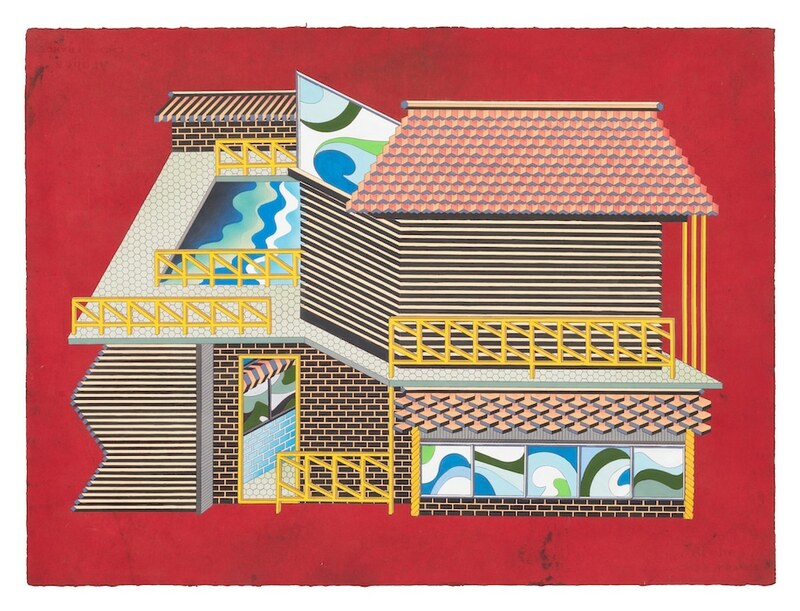 His drawings use architectural elements as visual metaphors for the ways in which definition and validation elude trans identities. These structures come together to map what Fake considers to be a liminal landscape of self-definition. The imagery depicted, such as stages, parade floats and art deco buildings, combines parts of Fake’s family history with aspects of queer history and a sort of psychic geography of transpeople in society. 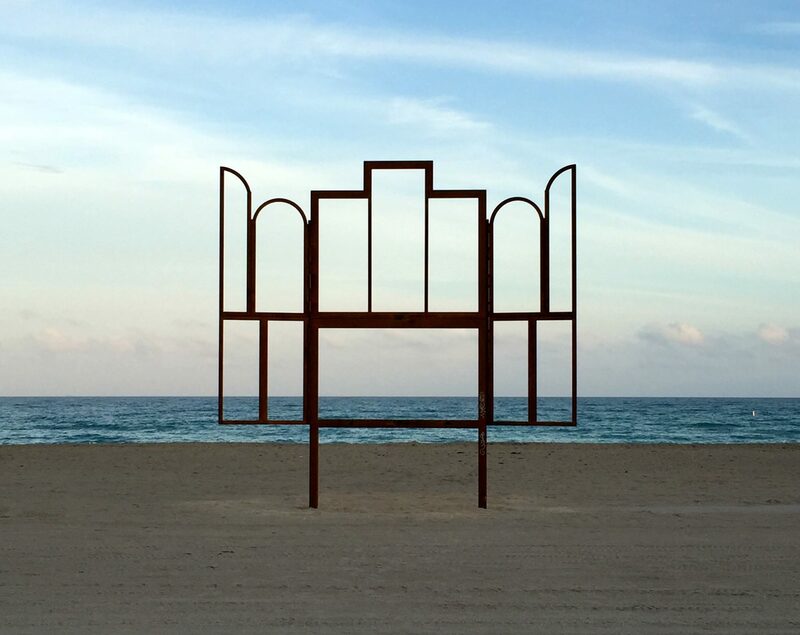 As part of Art Basel Miami Beach over 20 large-scale sculptures and installations by international artists were installed in the exhibition Public in Collins park and the beach. Kris Martin‘s “Altarpiece (Ghent)”, originally commissioned by the High Line in New York City, was recreated for installation on the beach. The sculpture is in the form of the framework of the altarpiece in Belgium, where the artist is from, entitled Adoration of the Mystic Lamb or also known as The Ghent Altarpiece by Jan Van Eyck. The Ghent Altarpiece is the most frequently stolen artwork in history, having been burgled, all or in part, on six occasions, the object of a total of 13 crimes over its almost 600-year existence. The artist has created a minimalist reproduction of the icon from his hometown. Nov 30, 2015 In: To Do List Tags: Aspen Mays, Brittany Atkinson, Casemore Kirkeby, Creative Growth, Creativity Explored, Crown Point Press, Fort Mason Center for Arts and Culture, Janet Cardiff, Marcel Dzama, NIAD, Sean McFarland, SFMOMA By: ArtSource Inc.
Friday, December 4th 6 – 9pm – 2015 Holiday Art Sale at Creativity Explored: Do all your holiday shopping in one place while supporting artists with developmental disabilities. Select from thousands of original works by over 135 local artists. This exhibit is up through December 31st. Creativity Explored is located at 3245 16th Street in San Francisco. Friday, December 4th 5:30 – 9pm – Holiday 2015: The Great Escape at Creative Growth: At this shopper’s paradise, you’ll want to pack your bags full of amazing Studio sale finds and original artwork from over 100 artists! Bring home one-of-a-kind textiles and customized furniture, ceramics, rugs, mosaics, wood, drawings and paintings, prints and more. This exhibit is up through January 16th. Creative Growth is located at 355 24th Street in Oakland. 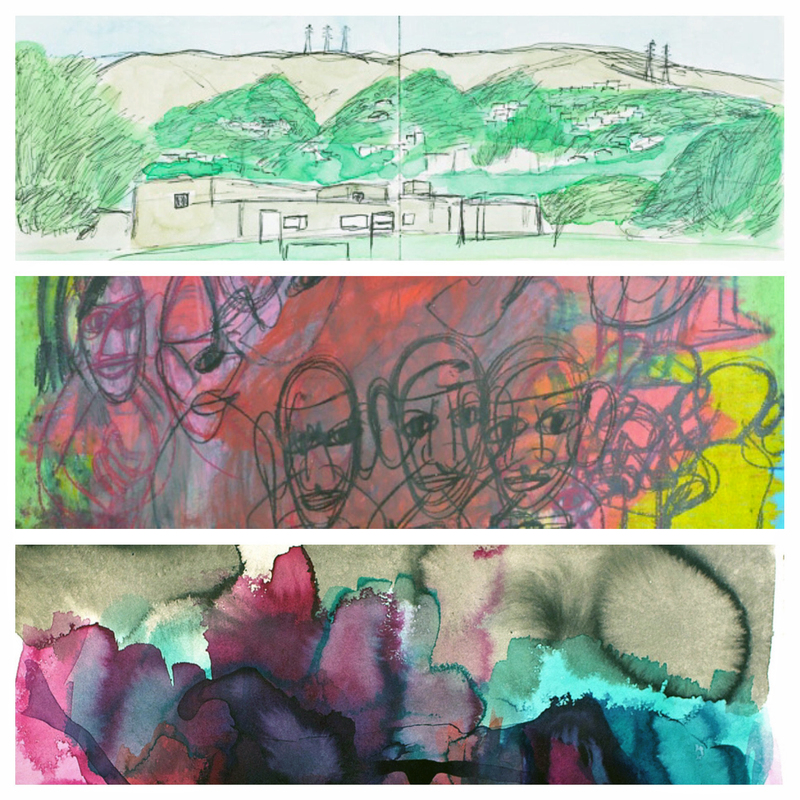 Ongoing to December 23rd – Deck the Walls at NIAD Art Center: The gallery is packed full of drawings from most of the studio’s artists. All work in Deck The Walls is only $40. At a price like this, you’ll be able to cross off most everyone on your holiday shopping list and grab lots of art for yourself. The exhibit is open M-F 10:00 – 4:00pm and Saturday 12:00 – 4:00pm. NIAD is located at 551 23rd Street in Richmond. 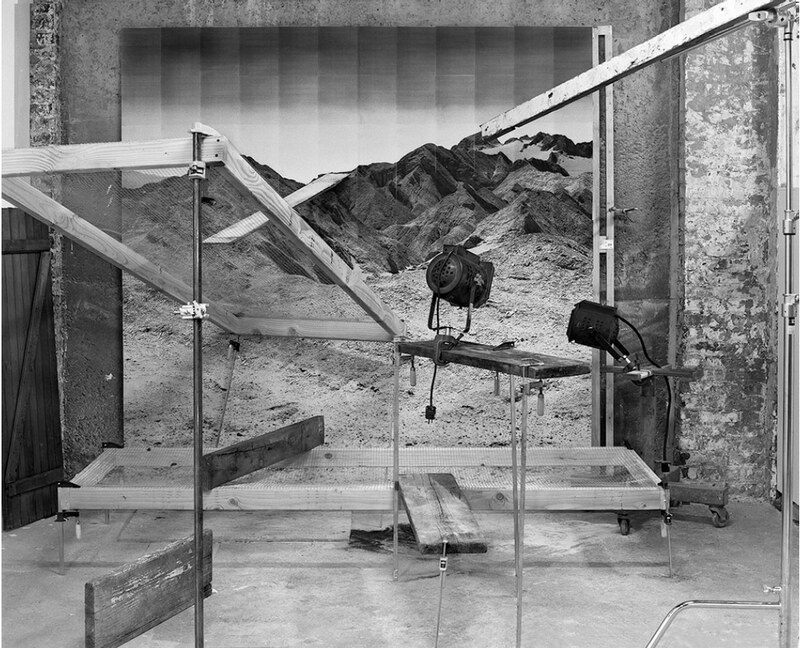 Installation view of “The Forty Part Motet”. 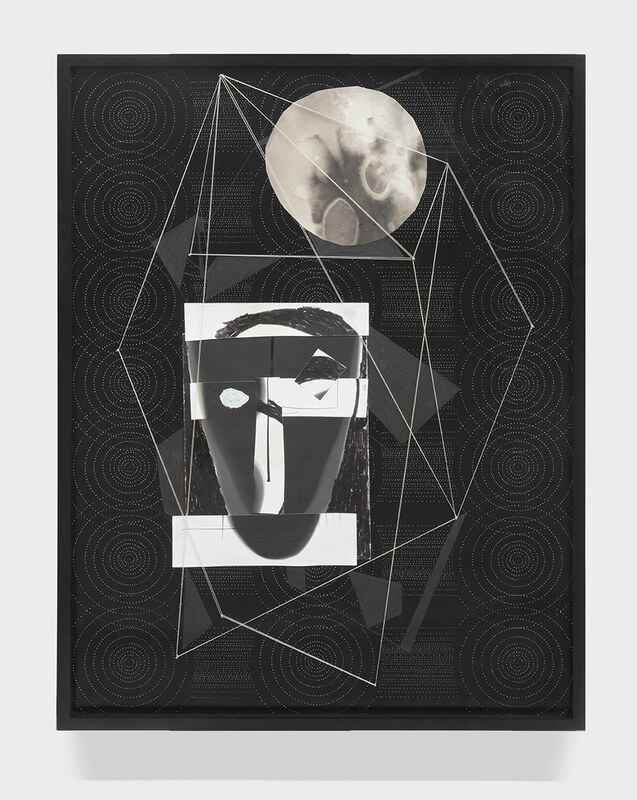 Image courtesy of SFMOMA and Gallery 308. Ongoing to January 18th – Janet Cardiff: The Forty Part Motet at the Fort Mason Center for Arts and Culture, Gallery 308: This is the California debut of Janet Cardiff’s immersive sound installation The Forty Part Motet, co-presented with SFMOMA and the Fort Mason Center for Arts & Culture. The installation is the inaugural exhibition for Gallery 308, a newly renovated historic space at Fort Mason. Cardiff has gained international distinction for her site-specific audio and video walks, which use prerecorded narratives to guide viewers through various indoor and outdoor locations. Considered Cardiff’s masterwork, The Forty Part Motet is a forty-part choral performance of English composer Thomas Tallis’s sixteenth-century composition Spem in Alium, sung by the Salisbury Cathedral Choir. The performance is played in a fourteen-minute loop that includes eleven minutes of singing and three minutes of intermission. 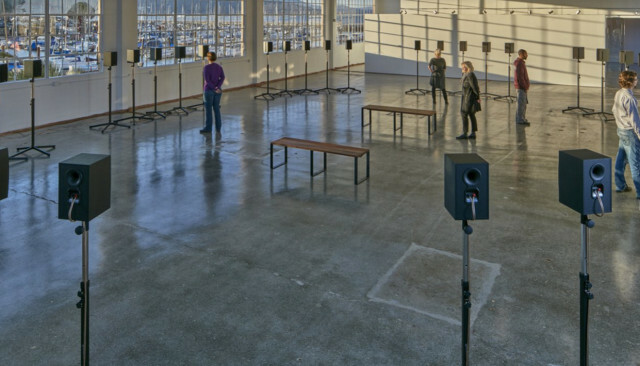 Individually recorded parts are projected through forty speakers arranged inward in an oval formation, allowing visitors to walk throughout the installation, listening to individual voices along with the whole. Cardiff’s layering of voices creates an emotionally evocative sound sculpture that feels intimate, even within a public space. Gallery 308 is located at Fort Mason Center, 2 Marina Blvd in San Francisco. Marcel Dzama “The Beauty that is born from the Seed of the Beast”, colors soft ground etching with spit bite aquatint and aquatint. Image courtesy of Crown Point Press. 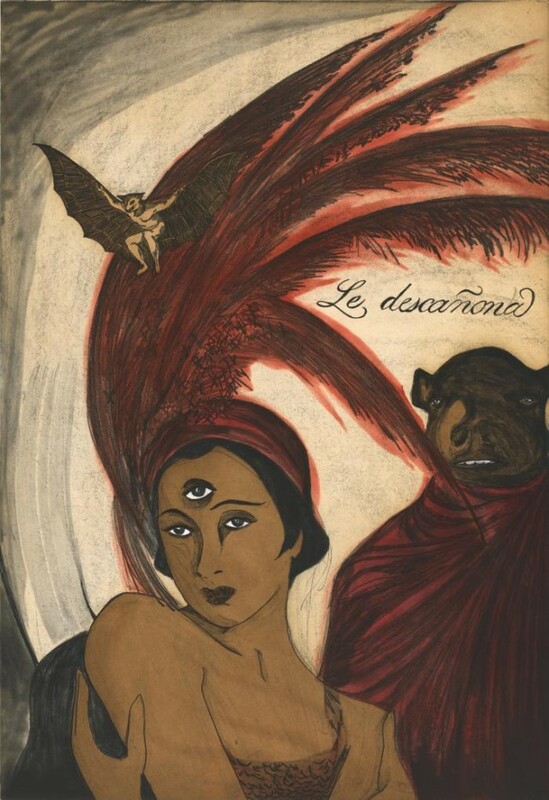 Ongoing to January 2nd – Marcel Dzama: Three New Etchings and a Portfolio at Crown Point Press: Marcel Dzama’s work is characterized by an immediately recognizable visual language that draws from a diverse range of references and artistic influences, including Dada and Marcel Duchamp. While he has become known for his prolific drawings with their distinctive palette of muted colors, in recent years, the artist has expanded his practice to encompass sculpture, painting, film, and dioramas. At Crown Point Press he has created three new etchings, and a portfolio of smaller works entitled “The Fallen Fables”. Also on view in the gallery are four films, three created by the artist and the fourth is a film of the artist in the Crown Point Press studio. There is a reception for the artist on Tuesday, December 15th 6-8 pm. Crown Point Press is located at 20 Hawthorne Street in San Francisco. 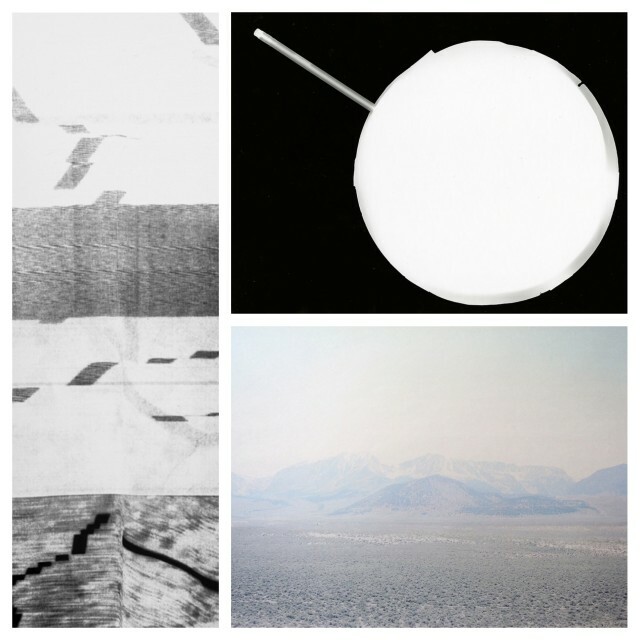 Brittany Atkinsony “Untitled #3 (detail)” silver gelatin print, Aspen Mays “Dodge Photogram #5” gelatin silver print and Sean McFarland “A Mountain in the Desert” pigment on newsprint. Images courtesy of Casemore Krikeby. photographic imagery, reorganizing the events or phenomena they record to invite new questions, not only about the mysteries of their making, but the unknowability of the worlds in which they float. Gallery hours are Thursday – Saturday, noon to 6pm. Casemore Kirkeby is located at 3328 22nd Street in San Francisco.